At Howard Measurement, we aspire to be a one stop shop for any and all measurement needs. On the pipeline accounting side, we offer chart integration and censoring, EFM data editing, system allocations and balancing, third-party auditing, customized reporting and exports, and ready consultation with our industry experts. From our labs, we offer C6+ gas and condensate/NGL analysis, as well as extended C7-12 in depth analysis. We can handle recombinations, BTEX, API Gravity, and Reid Vapor Pressure reports. Depending on our client’s needs, we also offer custom reporting, sample pickup, and historical data comparison. 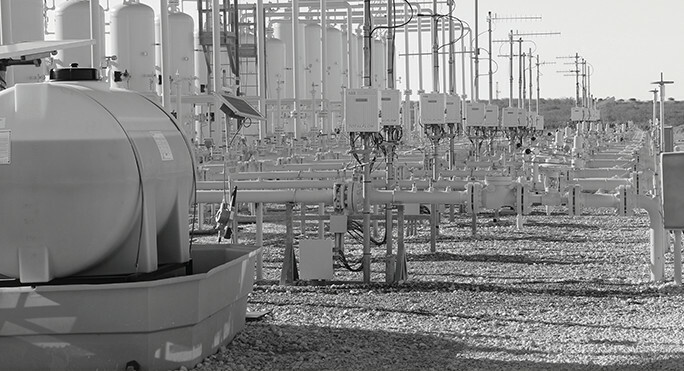 Our field services extend to meter calibration, installation, and maintenance, and include sample procurement, EFM data collection, SCADA installation/maintenance, and third party witnessing. In addition, we offer a range of field supplies and measurement equipment, from charts and pens to orifice plates and stain tubes. Proper censoring and editing require many years of experience and training. Our experienced staff and state of the art equipment provide the highest quality service available. Our goal at Howard is to become an extended member of your measurement team. We specialize in chromatographic analysis of natural gas and NGL. Howard uses state of the art Bruker/Scion instruments. We adhere to GPA, API and ASTM industry standards. We are committed to providing accurate analysis and rapid reporting. At Howard, we take pride in providing a wide range of services. Our goal is to meet the demands required by our customers with the highest quality, accuracy and rapid response time. – Jim Finigan, Gas Accounting Supervisor – Enerfin Resources Co. The excellent people at Howard Measurement Company have been taking care of all my needs concerning gas measurement charts for years. The staff is well trained, dependable, helpful and honest. Each one have performed with the highest level of accuracy and promptness. 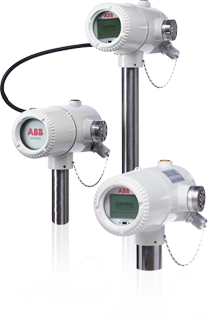 I definitely plan to expand my job duties for Howard Measurement Company in the future to include all aspects of gas measurement. They are a good, Christian based company to do business with. I recommend them highly. Our accounting, lab and field services, combined with our years of experience in the industry, make us a valuable company to partner with. In all that we do, we aspire to assist you with honesty and integrity. From the moment we connect with a potential customer, we aim to exceed their expectations. Every client has needs specific to their company. Every company runs differently, with different parts that all need to coordinate smoothly. Our goal is to flawlessly integrate our measurement service into the company machine. We connect personally to establish the most efficient way of delivering charts, gas or liquid samples, meter services, and supplies. From there, we customize our data streaming process to match the client’s company structure. Once the process is established, we maintain open channels of communication to identify and troubleshoot any equipment failures, communication errors, or data stream breakdowns. We like to think that, for each of our customers, we are employees. When you work with Howard Measurement, you add our industry experience, work ethic, and quality to your existing measurement team. Howard Measurement Company, founded in 1981, is a recognized leader in the oil & gas industry. We pride ourselves on accurate measurement and outstanding customer service. Howard Measurement currently has three locations: Athens, Texas; Beeville, Texas; Edmond, Oklahoma. At Howard Measurement, we are committed to safety for our employees and our clients. We have been approved and are fully compliant with ISNetworld, PICS and Veriforce. In the early 50s, while the United States was recovering from World War II, John Howard was just another oil field worker. However, not content to just make ends meet, he began to innovate. By the early 60s, he had become a pioneer in the chart integration and measurement industry, riding the cutting edge of innovation and excellence. For the next twenty years John and his wife Marcia were called on as measurement experts, publishing papers and teaching schools in the Gulf Coast, Permian Basin, and Oklahoma’s International School of Hydrocarbon Measurement (ISHM). In 1981, the two of them left the general management of Southern Flow to start their own measurement company. Thirty years later, Howard Measurement has become a one stop shop for the entire breadth of needs of the measurement industry. Now owned and operated by John and Marcia Howard’s children, Allen and Pam Hobgood, the company continues to offer the highest quality service to be found in natural gas measurement. 708 W. Corpus Christi St.